At best, I'm a grade B trout angler. Being a self taught fly fishing hack who learned on foam spiders and bluegills while working at a summer camp outside of Grayling, Michigan, it took me a full summer of slapping the water before driving across the street to the Au Sable River to fly fish for trout. Many more years of learning the hard way on rivers all over Michigan and Colorado taught me a lot but never enough to be truly great with trout. Now most of my time is divided between warmwater and saltwater fly fishing with a handful of trout trips to keep things interesting. I still have a lot to learn. 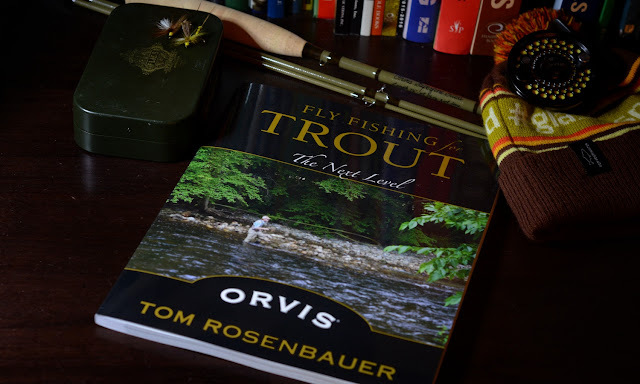 I'm saying all of this to admit fully that my trout game needs help and Tom Rosenbauer's latest book, Fly Fishing For Trout: The Next Level, is a complete primer for the novice to advanced angler to hone and freshen up on their skills. More than once, when it really counted on a trout stream with precise casts to sipping trout, I've come up short. I clearly needed more practice and Tom's voice (from reading this book) whispering in my ear. Fly Fishing For Trout is 160 pages that packed with knowledge starting with how trout feed to reading the water to hatches and how trout rise to them to three full chapters on fly selection through the seasons. Tom's expertise clearly comes into play and I learned quite a bit from reading (and rereading) this book over the past couple of weeks. The photography and illustrations are excellent as well and this soft cover book is one for every angler's library. 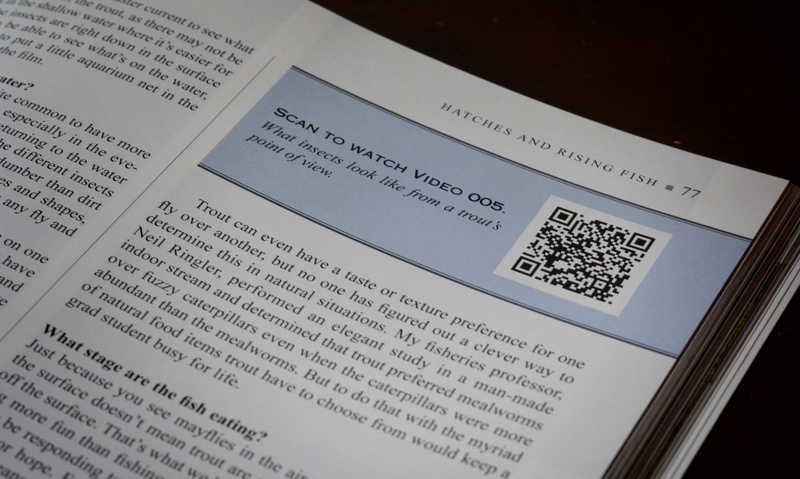 Tom's clearly working in the future as this book as it has sixteen different videos that can be accessed through scanning the QR code which go a long ways to illustrate the focus of the chapter. Each video is up to two minutes long and clarifies points in the book that are best shown through film instead of just words on the page. Need more information? Enjoy this short video with Tom Rosenbauer as he explains why he wrote this book. I like that he reminds everyone that fly fishing is supposed to be fun. Don't forget that. Look for Fly Fishing For Trout: The Next Level at your local bookstore or fly shop or online on Amazon or Orvis websites. I have a short list of friends that will be getting a copy soon as a gift.